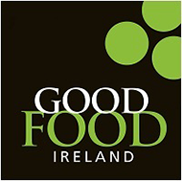 In 2006, Good Food Ireland, a benchmark brand for food tourism in Ireland was born. 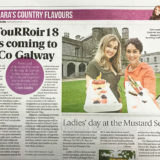 The brainchild of it’s founder Margaret Jeffares, it grew organically from a need to link the agri-food and tourism sectors in Ireland. This new standard of guaranteed trust and honesty in food set the scene for a new kind of tourism. One which embraced the country’s legendary food production, farming and fishing heritage, as an essential part of the visitor experience. The first businesses to join the Good Food Ireland network were the proud soldiers of this new food tourism movement, fully believing in promoting Ireland through its good food and warm hospitality. They welcomed the opportunity to stand together as a band of like-minded people under the pioneering movement of Good Food Ireland, to highlight Irish food tourism on the world stage. From these small beginnings a connected family has grown. These last ten years have seen many businesses join the early siblings. Good Food Ireland has become a standard to aspire to in the hospitality industry, raising the bar in food tourism, with members who are fully focused on being part of a pioneering standard which champions an Irish food experience. From farmhouse B&B’s, cafes and coffee shops, to restaurants, food shops and delis, hotels, country houses and guesthouses, to cookery schools, food and drink producers and artisan specialists, each and every one of these members fly the flag for the best Irish food and drink. 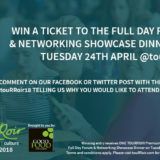 The network continues to grow every day, to form a solid core of people who share one vision to give the best possible food experience in Ireland. The distinctive Good Food Ireland logo signals a rewarding Irish ingredient led experience for every visitor, every time. Members are proud to highlight local and Irish produce and craft drinks on their menus. They actively and conscientiously source the best quality local and seasonal ingredients, so that every meal has it’s own story of Ireland to tell. Of that they are very proud. Lots of things have changed since the early days of Good Food Ireland. The original members have become old and trusted friends. It also now has a new wave of youth and innovation among its network. Some of the businesses are now in the hands of the second generation, taking them forward to the next phase in their development and ensuring their continuation into the future. All members are committed to working with Good Food Ireland to bring Ireland’s food culture to visitors in a variety of ways. 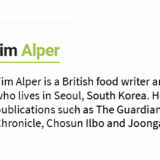 Their latest achievements include the launch of Good Food Ireland Signature Food Experiences and Culinary Tours, which directly connect tourists to producers, growers and food establishments via gourmet and cultural journeys of discovery throughout Ireland. The story is still being written. Specially for the tenth anniversary, they will now celebrate their journey together as a family, with Good Food Ireland’s Best Of The Decade Awards. 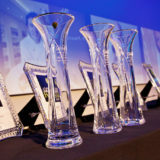 These awards highlight those members who have made their own mark on the whole story of the last ten years. 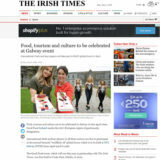 They will honour their magnificent contributions to a very exciting period in the development of Irish food tourism. And we very much look forward to the next decade of Good Food Ireland’s growth and development on the global stage, and to meeting new friends who share their ideals to work tirelessly to maintain and grow Ireland’s reputation as a world class food tourism destination.